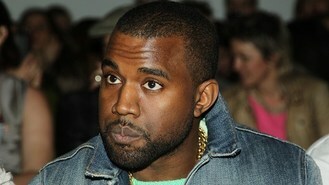 The 34-year-old rapper halted the music during the concert for his Watch The Throne tour. During the incident, posted on YouTube, Kanye suddenly blasted: "Don't f*** with the laser back there. Who's f***ing with everybody's show? Chill." But as the next song began he called "Drop it" to stop the music and, pointing into the audience he started shouting again, saying: You're going to get f***ed up and kicked out and all of that s***." This is not the first time Kanye has lost his temper in public. In 2009, he stormed the stage at the MTV Video Music Awards during Taylor Swift's acceptance speech for best female, insisting the award should have gone to Beyonce. During a gig in New York in 2010 he launched a nine-minute rant at the crowd claiming to have overcome his public "haters" with the success of his latest record sales. And at the Big Chill festival last year he let off steam about being misunderstood and under-appreciated.